While writing the firmware for the circuitry in my SubSpace Pod, I learned to dislike the Inegrated Developer Environment, or IDE for the Parallax Basic Stamp. The Stamp seemed to have a large following but very little third-party support for programmers. I thought perhaps I could write a better IDE for their line of programmable microcontroller chips and possibly market it. It would involve writing some very complex code and low-level drivers for programming the microcontrollers (all seven of them) and would also give me an excuse to learn to build web sites. The toughest thing was writing the low-level communications between my application and the stamp’s microcontrollers. This took about a month. Lots of critical timing involved in those little buggers and their serial interfaces. 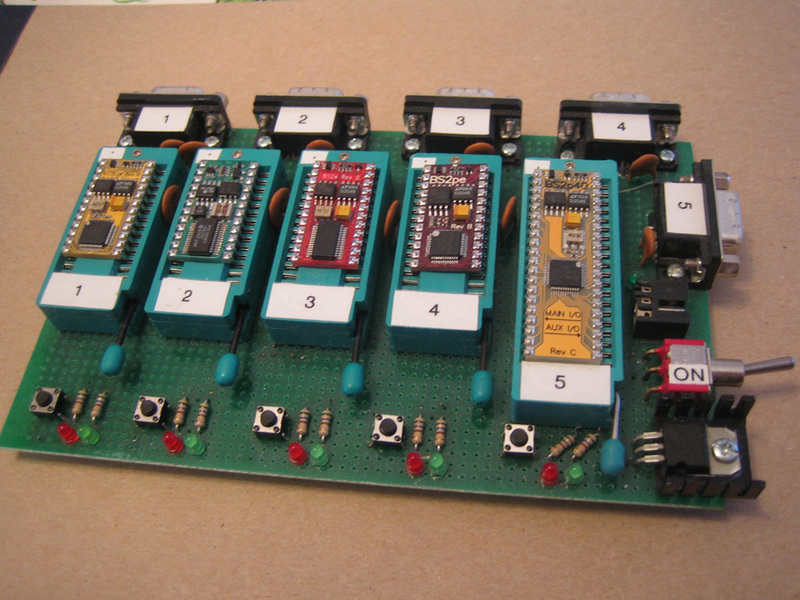 I built some hardware so that I could program and test five different basic stamps at the same time via the IDE. This made troubleshooting the code much easier. 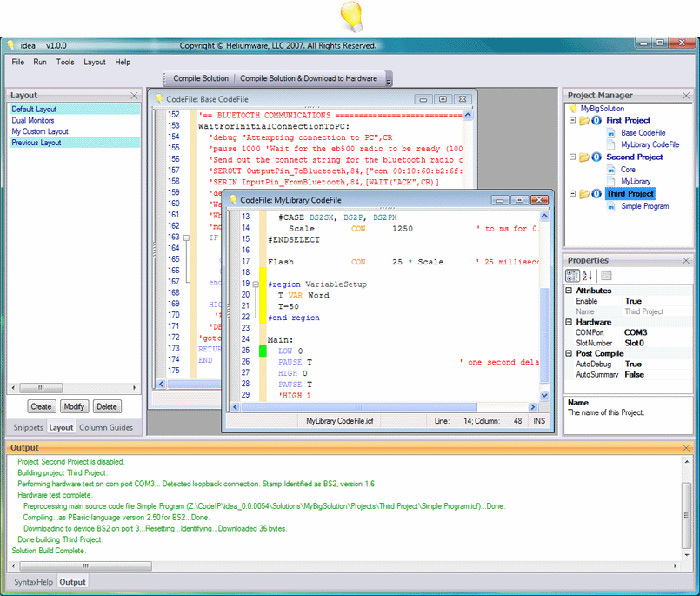 I based the IDE (which I called IDEa) on a multiple-document interface. It allowed dockable windows, customizable user layouts, a complete solution/project manager that added the ability to create header/#include files, multiple source files, syntax highlighting & code folding, inline syntax help, code snippets, intellisense code, bookmarking, progamming multiple stamps at once. None of these features was available to basic stamp programmers until this point. It worked great. Fast, full featured and far more user-friendly than the default IDE included with the Stamps. This is one of my cleanest pieces of code and I’m mighty proud of it.